This summer, as part of the RM Sotheby’s flagship Monterey sale in California, the first-ever Shelby Cobra – CSX 2000 – is to be sold to the highest bidder. Offered for sale by the Carroll Hall Shelby Trust, the Cobra was constructed and kept from new by Carroll Shelby and never left his ownership. It is widely considered to have been the start of Shelby’s motoring career. This unique car was used in testing and development, as well as driven by the motoring press, and shown in cities across the US to drum up interest and sales for the fledgling company, Shelby American, Inc. During this time, Shelby also convinced the public that Cobra production was in full swing; the car was repainted a different colour for almost every appearance to give the impression that Shelby had more than one car in their inventory. In reality, it remained the first and only Cobra for seven months. At one point it was also used by employees at the Carroll Shelby School of High Performance Driving. A 1962 road test by Road & Track revealed a 0–60 mph sprint in 4.2 seconds, a standing quarter-mile run in 13.8 seconds at 112 mph, and a top speed of 153 mph. To commemorate the 50th anniversary of the Shelby Cobra in 2012, CSX 2000 took centre stage at the Pebble Beach Concours d’Elegance and the Rolex Monterey Motorsports Reunion included. Since then, it has been a display at the Shelby Heritage Centre in Las Vegas, Nevada. RM Sotheby’s Monterey sale takes place on August 19-20. 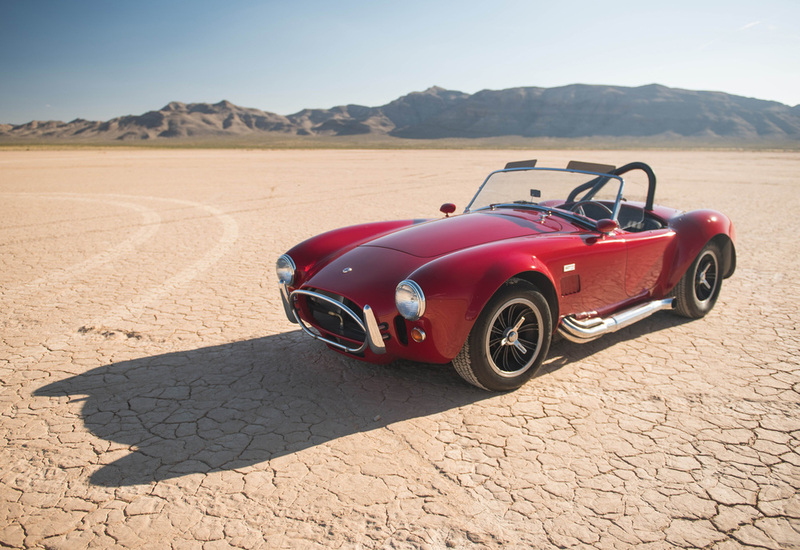 As part of a showcase celebrating 50 years of Shelby heritage, the auction will also include the 1965 Shelby 427 Cobra, CSX 3178, a 1999 Shelby Series I Roadster, CSX 5064and Carroll Shelby’s personal 1986 Dodge Shelby GLHS Omni, GLHS 086.